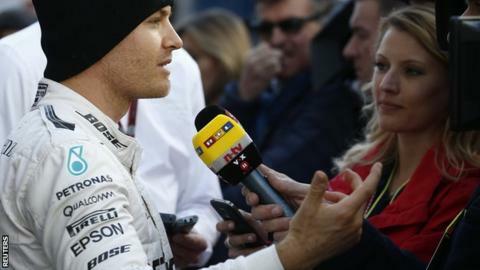 Nico Rosberg set the pace as world champions Mercedes continued their ominous form on the first day of the final Formula 1 pre-season test. The German was 0.207 seconds quicker than Williams driver Valtteri Bottas. There was encouragement for struggling McLaren-Honda as Fernando Alonso set the third best time, albeit 1.7secs slower than Rosberg on the same tyres. Ferrari's Kimi Raikkonen was fourth, 1.8secs off Rosberg but on a tyre calculated to be 0.8secs a lap slower. Red Bull's Daniil Kvyat was fifth quickest, on the same 'soft' tyre that Rosberg and Alonso used, 0.2secs slower than the McLaren. World champion Lewis Hamilton drove in the afternoon as Mercedes continued their policy of using both race drivers in one day to avoid over-exerting them, as a result of the high mileage the team are covering. But Hamilton concentrated on a race-simulation run and did not record a representative one-off flying lap, setting the sixth quickest time on the same type of medium tyres used by Raikkonen. Sauber's 2016 car ran for the first time and Felipe Nasr was ninth fastest, 2.5secs off the pace. It is notoriously difficult to predict form from pre-season testing times because the teams do no release crucial data about the specifications in which their cars are running, such as fuel load, engine mode and so on. But all the indications so far are that Mercedes are again in the best shape before the start of the season in Australia on 18-20 March, with a car that is both fast and running with metronomic consistency. Ferrari, expected to be their closest rivals, did not show anything like equivalent pace, and nor have they enjoyed the same level of reliability. Raikkonen lost all but one hour of the afternoon on Tuesday after stopping out on track when the car became stuck in eighth gear. 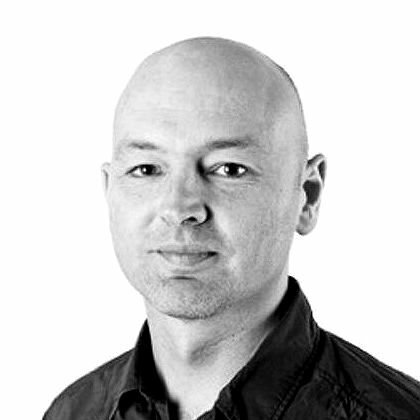 But Rosberg said on Tuesday: "It's very close between Ferrari and us - and another team might be there as well." Raikkonen's best time was set on the medium tyre - but that still means the Ferrari was a second off the Mercedes' pace assuming the cars were on similar fuel loads. The identity of the other team Rosberg is referring to was not clear - but the main candidates are Force India, Williams, Red Bull and Toro Rosso. Bottas' flying laps on Tuesday suggested that Williams are there or thereabouts at the head of the mix behind Mercedes, as they have been since they switched to the German engines in 2014. The Finn was 0.763secs off Rosberg when both used the soft tyre and 0.207secs when using the ultra-soft, which is reckoned to be about 1.2-1.3secs faster than the soft. "At the moment it looks like [Mercedes] are in a really strong position," he said. "Quite tricky for anyone to challenge them at the beginning of the season." Are McLaren finally getting it together? Meanwhile, Alonso's pace on Tuesday was the first clear evidence that McLaren's engine partner Honda has indeed made a significant step forward with its engine over the winter. McLaren are running this week the definitive 2016 engine, although there are still updates to be added before the first race. As with all manufacturers, Honda will also be able to improve the engine through the season as in-season development, within certain restrictions, has been allowed. Toro Rosso, who ran the car in its definitive 2016 livery for the first time on Tuesday, have also been tipped as dark horses. The Red Bull junior team say they believe they can score podium finishes this season following switch from Renault to Ferrari power, albeit a 2015-specification engine. The new US-based Haas team ran very impressively during the first test, but they were hit by reliability gremlins on Tuesday, and Esteban Gutierrez was consigned to the garage for much of the day.